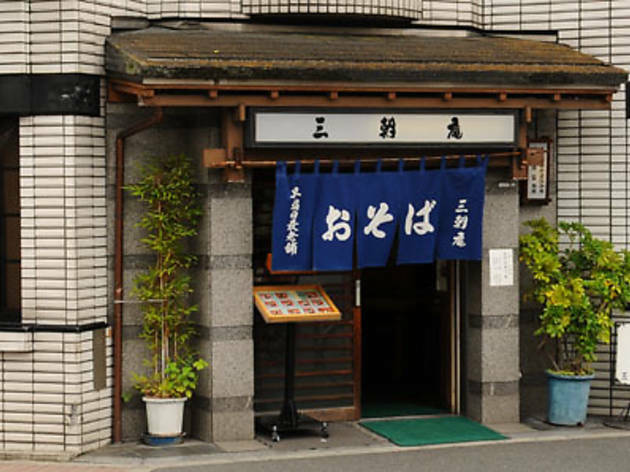 Sanchoan is a soba joint that dates back to the Edo period and is located close to Waseda University, at the Babashitacho intersection. 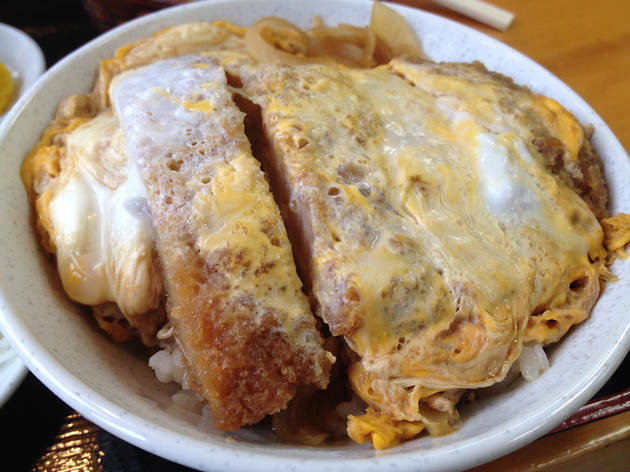 It's said to be the birthplace of curry nanban, but there is one more famous dish that it also apparently brought into the world: katsudon, or rather, the style of katsudon that became popular in the Tokyo area – served with a beaten egg, partially cooked and poured over the pork cutlet. The interior is spacious and the walls are covered with shikishi cards signed by all the celebrities who have eaten there. There is always a member of staff right by the door, so you can order and pay when you enter. 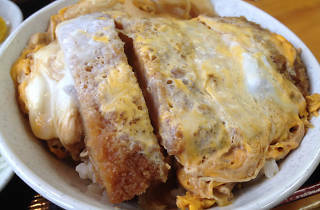 The taste is exactly what you'd hope for from a soba shop katsudon: light and easy to finish. Definitely worth a visit if you're in the area.